Slim Straight Jeans Embroidered by Cipo & Baxx. With a little embroidery, these slim straight jeans are revamped into streetwear’s hottest denim. Straight fit jeans designed with embroidered details in thick, cable stitching along the seams and pockets. Medium-blue washed denim is treated with fading and whiskered accents along the front and back legs. Slim straight jeans constructed with button-up fly, belt loops and five-pocket design. 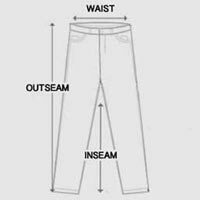 Heavyweight cotton material has minimum stretch. This classic jean fit rests comfortably around the legs and seat for a slightly relaxed look. Whether you’re dressing up or going casual, these slim straight jeans will look absolutely stunning for any occasion.